Saturday’s wouldn’t be Saturday’s without Jeff and the gang from Soccer Saturday. Whether it’s before you head out for the 3pm kick off yourself, or simply settling down for a full afternoon of Paul Merson hilarities, Soccer Saturday is well and truly an institution. Over the years, it’s not the only thing that has become an integral part of our Saturday’s though, so has Sky’s Super Six. One of football’s most popular betting opportunities, it gives you the chance to pit your wits against the likes of Stelling and Kammy. And what’s more, it’s free! DEADLINE: Entries by 3:00pm, Saturday 27th April 2019. Paddy Power has launched Beat The Drop, a brand new predictions game! 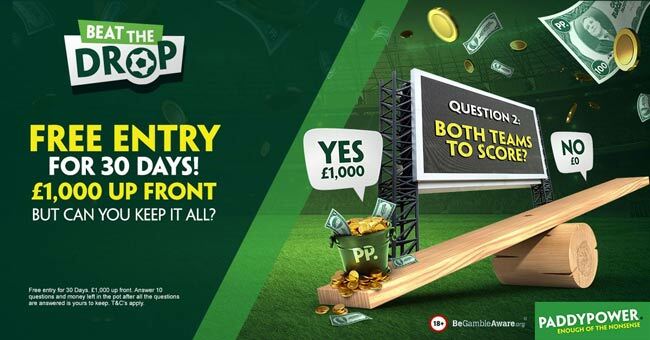 All you have to do to be in with a shot of landing the £1,000 prize is answer 10 questions correctly. Paddy Power are offering all new customers 30 days of Free Entry! No Deposit Required! Still not registered with Paddy Power Sportsbook? Click here and open a new account for free! It's FREE to play Beat The Drop! Login or create a new Paddy Power account to enter the competition. Receive £1,000 up front. Then split your pot or stake it all on your first question. Get it right and move on to the next question. Keep it up and everything you have once you’ve answered all your questions is yours to keep! What is Sky Super Six? Sky Super Six is such a simple concept, but the rewards really are staggering. Every weekend six matches will be selected by Soccer Saturday and fans must predict the correct score of each one for the chance to win a staggering £250,000. On top of that, you must select a Golden Goal minute, which is essentially a selection on which minute you think the first goal of the six ties will be scored in. How Do I Win Sky Super Six? To win the £250,000 you must predict all six scorelines correctly. In the event of more than one winner, the jackpot will be shared equally. Every week there’s also a £5,000 consolation prize in. To win this, you don’t necessarily have to guess all results correctly. This works on a points system. So for every correct scoreline you will earn five points and predicting a winner will give you two points. If there’s a tie, this is where the Golden Goal kicks in. The closest person to the correct time of the first goal will then win. When Can I Play Sky Super Six? You can play Super Six each and every weekend during the football season, with most games revolving around the Saturday 3pm kick offs. There could be also midweek's editions should big football matches (Eg. Champions League) are available. The games in which you have to predict will vary but usually be based on Premier League and Championship games, although this may vary depending on the fixtures for the weekend, for example during international breaks. Super Six is available via both mobile and desktop, while we’ll also bring you the very latest news and views right here on this page. As well as the freeplay game, you’ll also find a number of offers allowing you to bet directly from your Sky Bet account. You’ll often receive enhanced odds on accumulators, and will directly receive the odds on your score predictions, which really can see huge payouts. To make the most of betting on Super Six, it’s well worth taking on board both our predictions below, and our general Premier League tips and Championship previews, which can be found on our English Football page. You will need a Sky Bet account though to do so, but it’s well worth it. Of course, predicting six separate results isn’t easy. It’s why Sky can afford to give away £250,000 each week, but we don’t let you suffer and each week bring you our very own predictions. We’ll upload our thoughts ahead of every weekend, as well as match previews and other bets to back in our football predictions. Naturally, like any promotion Super Six has its terms and contortions. For the most part they’re generally standard practice. For example, players must be over the age of 18 and can’t be employees or family of employees of Sky UK Limited. 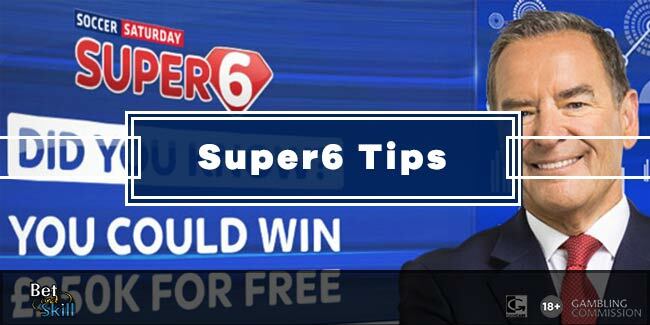 Players must be registered with Super Six, and all predictions must be in by the kick off of the first game. As mentioned above, points are given to predictions, with two points for every correct result and five points for a correct scoreline. Once predictions have been submitted they can’t be amended and all results and timings are based on PA Sport statistics. Do Other Bookmakers Offer Super Six? While Super Six is by far the most popular prediction game for the weekend's football, there are a number of other top bookmakers who have similar offers. 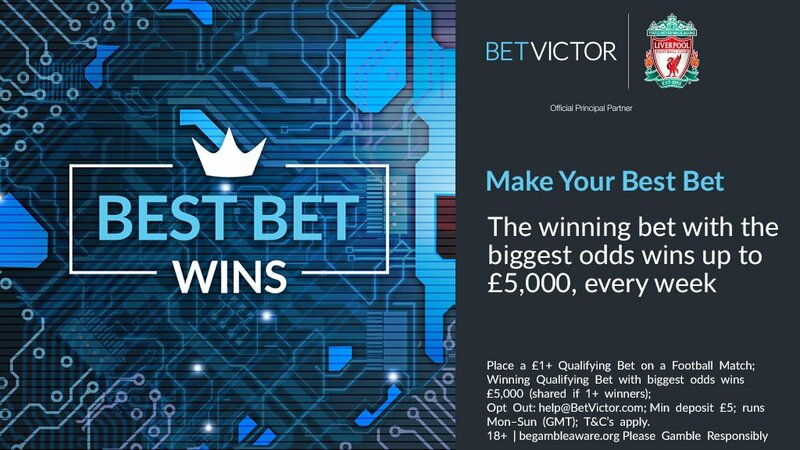 The likes of Bet Victor and Betway also have fantastic prizes for predicting the football (eg. BestBetWins and 4 To Score) and are certainly two to rival Sky. "Skybet Super 6 Free Tips & Predictions"